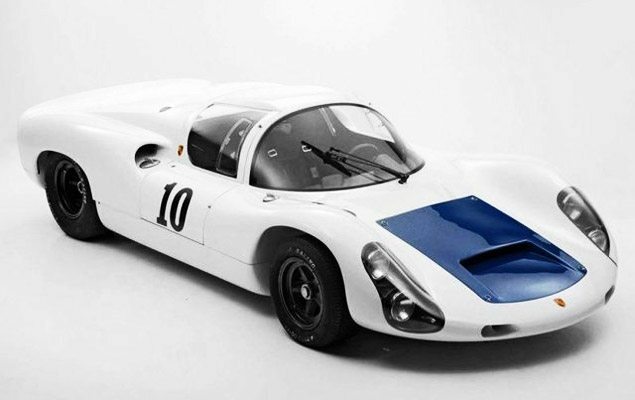 If you have the cash you can literally own a piece of racing history with this 1967 Porsche 910 Spyder Coupe ($995,000). It’s one of only five “Werks Team” 910-8 Spyders built for the Porsche Factory in the Spring of 1967, winning its first two races with ease. The car was even fully rebuilt after each race. After a DNF caused by engine problems in the third race, it was rebuilt once again, and sold off several times over the past 40ish years. The car spent much of its time in private collections and museums. The five-speed manual is linked to an air-cooled flat-six engine, featuring forward folding doors, a removable top panel, and a flip-back panel for engine access, but the specs probably don’t matter. If you’re seriously thinking about buying this thing you’re probably not looking to drive it but rather looking for a piece of art for your collection. Good luck bidders.